Kellie Pickler Releases "Feeling Tonight"
"I'm really excited about this song, and I'm looking forward to performing it on tour this summer," says Pickler. Superstar vocalist/songwriter has personal connection to cause. 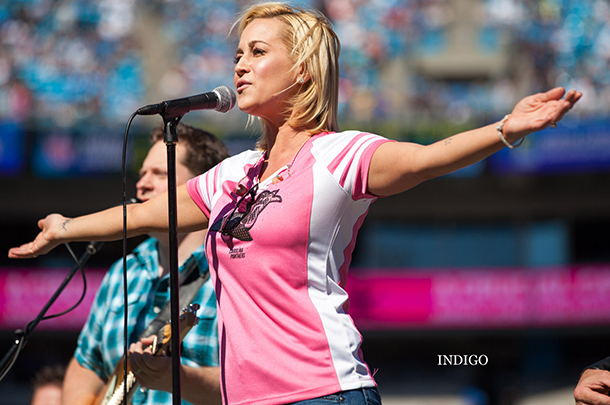 Kellie Pickler's dream of releasing her own album on Vinyl is soon to come to fruition. Get the full details here. Martina McBride has made an Everlasting impression on fans as her latest album debuts at #1 on the Top 10 Country Album sales chart. Find out where Carlene Carter, Ronnie Dunn debut along with how the ACM Awards affected the rest of the Top 10 and those just outside of it! Dan+Shay score a remarkable debut with Where It All Began, their debut album since forming in late 2012. The album, which features "19 You + Me" hit #1 while Johnny Cash remains high on the charts and Nickel Creek returns. Get the full weekly scoop for the Top 10 and Nine (!) notable albums here! There have been many questions about whether a long-lost Johnny Cash album could sell well with us over a decade into life without the icon walking among the living yet here we are with his album Debuting at #1 and #3 all-genre. Continue here to get the full scoop about the Top 10 albums and more! Toby Keith brought his highly successful Hammer Down Under Tour to an end last week, with final stops in Melbourne, Australia. Keith, played to a standing room only capacity crowd, making fans overseas happy campers. Get the details of that Aussie tour and the new USA Tour here! Luke Bryan once-again holds down fort with two of the Top 5 albums this week with his latest Spring Break EP and his Crash My Party album. Get the full scoop about the Top 10 Country Albums This Week along with 8 notables including the debut of JoDee Messina's latest effort, Me! Everything's coming up aces these days for Luke Bryan as his sixth Spring Break project, Spring Break 6...Like We Ain't Ever debuts at #1 (#2 all Genre) this week. Sara Evans' powerful Slow Me Down debuts at #2 this week as Country holds 1/4 of all the Top 40 albums. Read the full details and chart here!